In response to rapidly increasing conflicts and several incidents where bears seriously injured people, the Florida Fish and Wildlife Conservation Commission (FWC) is building on its long-standing, proactive approach to bear management. At its Feb. 4 meeting in Jacksonville, the FWC approved a plan to move forward with a variety of tools to manage bears and help reduce human-bear conflicts. The Commission provided staff guidance to move forward on several issues. Staff were directed to refine changes to the Bear, Fox, and Raccoon Feeding Rule 68A-4.001(3), and the Bear Conservation Rule 68A-4.009. Detailed information on the proposed amendments will be posted at MyFWC.com/Bear. The Commission also expressed support for policy changes including more aggressive removal of conflict bears and additional options for the public and law enforcement agencies to haze bears. The Commission also asked staff to move forward with developing specific plans for a limited bear hunt in certain parts of Florida. Hunting alone is not likely to reduce human-bear conflicts in urban and suburban areas. However, in other states, hunting has proved to be an effective measure for managing bear populations and can help more direct measures of reducing conflicts such as securing attractants and removing conflict bears. If you would like to provide comment regarding bear-related topics discussed at the Commission meeting, visit MyFWC.com/Bear. This link will also provide information about Florida black bears and how to avoid conflicts with them. 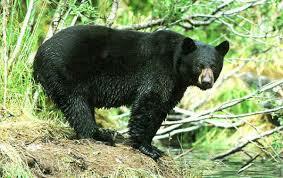 Please report any threatening bear behavior to the FWC Wildlife Alert Hotline at 888-404-FWCC (3922). ⇐Previous Aerosync Support to Open in Santa Rosa Industrial ParkNext⇒ Learn where to go as freshwater fishing heats up!